The people who buy your products, or use your services – your target audience – look for your site to do certain things. Often, their expectations are created by the way your competitor’s sites work. We’ll start your consultation by asking what sites you like, and which of your competitor’s sites best answer the needs of your market – allowing us to understand your personality, and how it fits with your brand, as well as the online landscape in which your brand must survive. Branding is key to success, online and offline. We can develop a brand in tandem with your site, giving your business the unique feel it needs to stand out from the crowd. Every website design we build is custom made for you. Our website designers develop a series of design concepts for you to choose from, based on an in depth consultation about your brand, your business, and what you want from your online presence. Your website designer London will send between 2 and 4 concepts depending on the nature of your brief. Website design is about more than good looks, of course. The way your site acts, and the way it feels, are vital. The concepts suggested by your website designer put your brand at the forefront of modern web use: clean, simple and beautiful solutions to bringing the personality of your brand alive in a way that your target market expects. To give your bespoke website design its personality, we use the brand you give us, or the branding we create for you, as a template for the site’s direction. Your website designer will talk with you about your ideas of brand personality – who are you? What does your brand offer that sets it apart from the competition? – and use your answers to shape the look and feel of your site. A design company, for example, may want free flowing fonts and plenty of beautiful graphical flourishes: while a science or technology oriented business often wants a more straight-edged look, with digital fonts and a clean finish. All of our websites are elegant, clear and deliciously simple to use, of course – but we know there’s a difference in tone between industries and market areas. Our website designers will suggest colour schemes, layouts and logo designs that make your business fit into the right space, without getting lost in the mix. Website Designer is the link that holds it all together – creativity, technology and relevance to your audience. The beautiful thing about having a website designed bespoke is that you never have too much functionality. In other words, you pay for your site to do what it needs to do while your business is at its current level – and while the internet is what it is. When your business grows, or connectivity changes, you just come back to us and ask us to redevelop your site accordingly. Our website designers work to a simple principle: anything that makes your customer’s visit more likely to end up in profit for you, stays. Anything that doesn’t, goes. Like your font, your logo and the overall look of your website design, that means every project is different. You may need a heavy-duty product catalogue, which can maintain changing prices and availability across hundreds of different items: or you might need a portfolio capable of highlighting your best work and sending update emails to your social media followers. The thing is, your site is defined by what you do. That’s why we make bespoke solutions rather than “out of the box” alternatives. You tell us what makes you special: and we reflect that in your site. No business is a static thing. Your brand evolves as your business grows, bringing in new markets and audience members. You increase the range of products you sell. You refine your services. Our website designers understand that the changing needs of your business and your brand translate to changing requirements from your website designs. What’s perfect now may be only reasonable tomorrow. But what we don’t want to do is charge you interminable monthly fees just so you can have a website rejig every now and then. Instead, we deliberately build your site with the capacity to be enlarged, refined and tweaked as the landscape of your business alters – and offer you maintenance and backup that you pay for only if you need to use it. A good website designer is always aware that what he or she builds is part of a constantly shifting environment. 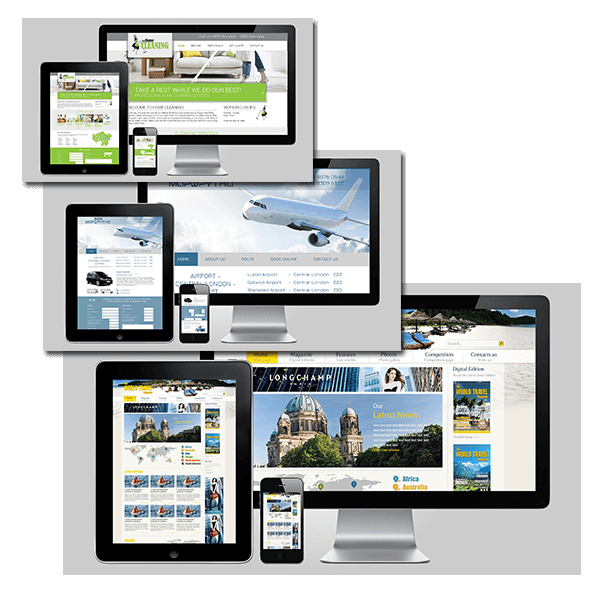 At A Website Designer, we make fluid, adaptable settings for your brand. To talk to us about a project, or to request a no obligations consultation, please call us.